Wall mounted relief. 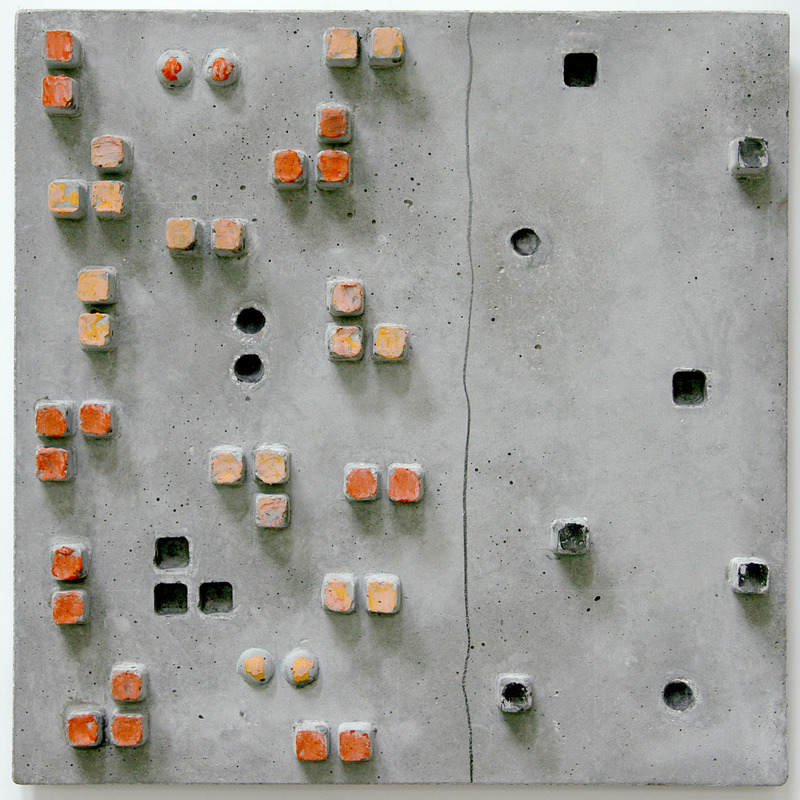 Cast concrete with graphite and oil pastel. 16 x 16 x 1.5"